HOPE is composed by singularly addressable LED lights and speakers, to reveal dynamic lights and sounds patterns. 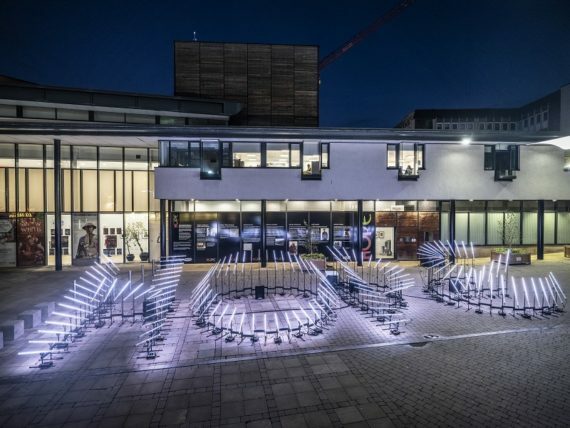 The self-standing three-dimensional geometric shapes will cast complex luminous forms in the immediate surroundings while different voices will evoke the stories of local people during the war, creating an immersive emotional landscape. 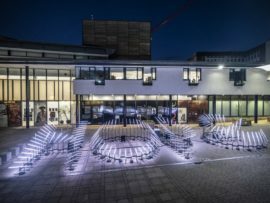 The artwork will encourage close encounters: people moving around the installation will be able to listen and perceive First World War memories. 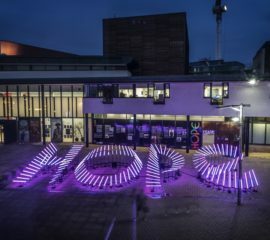 HOPE installation will uncover emotional perceptions, embodying them in a different medium, to engage with the viewers and educe feelings of connective human experiences.